This was was crazy week! First, I just felt super busy with so many things to get done! School and studying (I had my first math TEST yesterday), too much blog work, trying to get ready for the expo this weekend, working on new recipes (I think I’ve made something with pumpkin every day this week! ), okay, so basically it’s just school and blogging, but it’s a lot. You know what else was a bit sad. Now I love coffee, it’s been almost a year and a half since I started drinking it again (even though it kills me), and National Coffee Day was on Tuesday, right? Well, me, the biggest coffee drinker, has her busiest day on Tuesday and has no time to stop for or make coffee. I had NONE! Isn’t that the saddest thing? I made up for it with my pumpkin spice latte cookies and tons of coffee the next day though, don’t worry! Totally agree! I’m not good with saying these things either. It’s easier for me to show these things than say. This was lovely and refreshing! I’d say these are pretty accurate! I think it should feel like work. An important skill to have and grow. + If You Had An Extra Hour Each Day, How Would You Spend It? Really think about how you utilize your time. + What Comes Out When You’re Squeezed? I like to think that I’m one of the confident ones. Sometimes it’s what you need. Trust the process. Because her/she isn’t always true….or very nice. Just look and you’ll find it. I’ve been slacking on my pull-up practice! You know I love my weird looking produce! Learn the difference between them! + Are Nonstick Pans Safe? 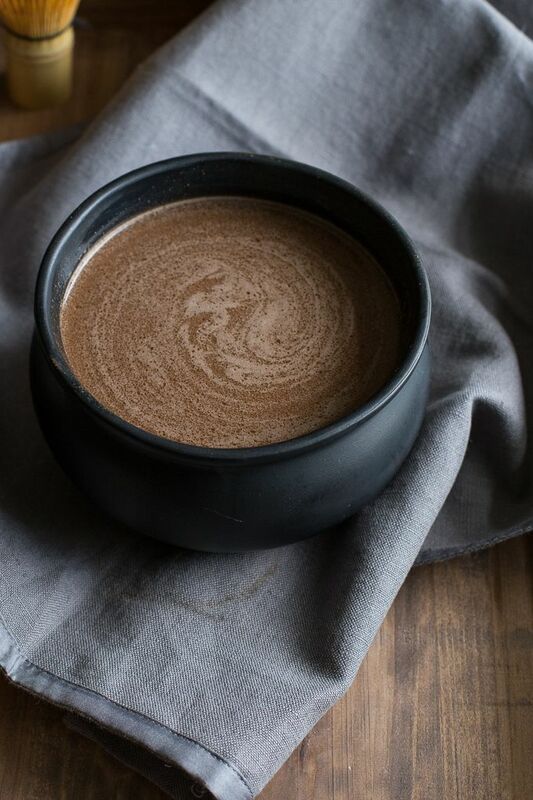 The easiest protein to make fantastic! This stuff always interests me! Always good to refresh the knowledge on these! One of the easiest things to make, but you can make sure it will be delish! I’m not sure how I feel about this….hahahahaha! Well they are all delish! + Should You Eat Gluten-Free Cheerios? Celiacs: if you don’t want any cross-contamination, even under 20ppm, don’t eat them. A mother’s perspective on food allergies. Hahaha, o lemon water 😛 That one is so in people’s heads! + 19 Natural Home Cures That Work! The sugar and hiccups thing sounds…interesting. + Ask Polly: Should I just Give Up On My Writing? No, I don’t think you ever should. Do NOT learn the hard way! I have some procrastination anxiety to work on. For sure, once your a blogger, you don’t have any. You need it, I bet you do. Not so good habits of bloggers. It’s about you, no one else. BAM! This is what you need to read! Sites for downloading free literature! And a lot more accurate! Always love to hear what works for other people! 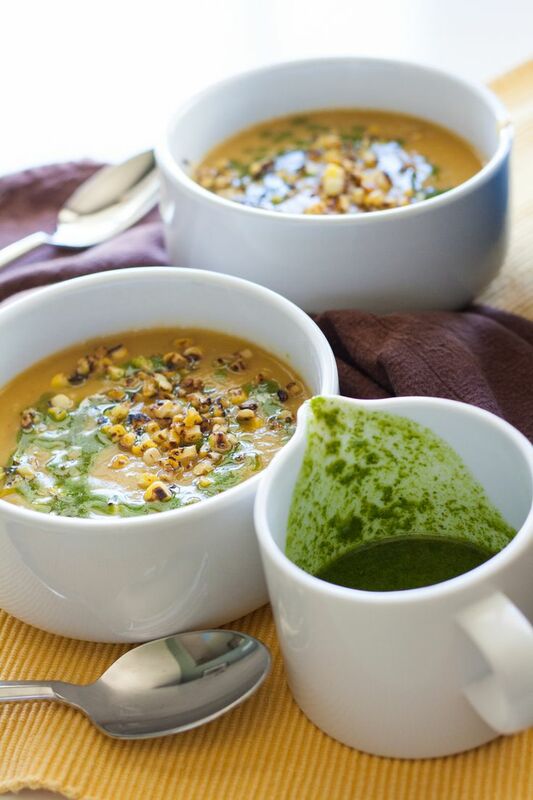 Delicata Squash Soup with Charred Corn and Cilantro Oil. This is the Fall soup to end all Fall soups! 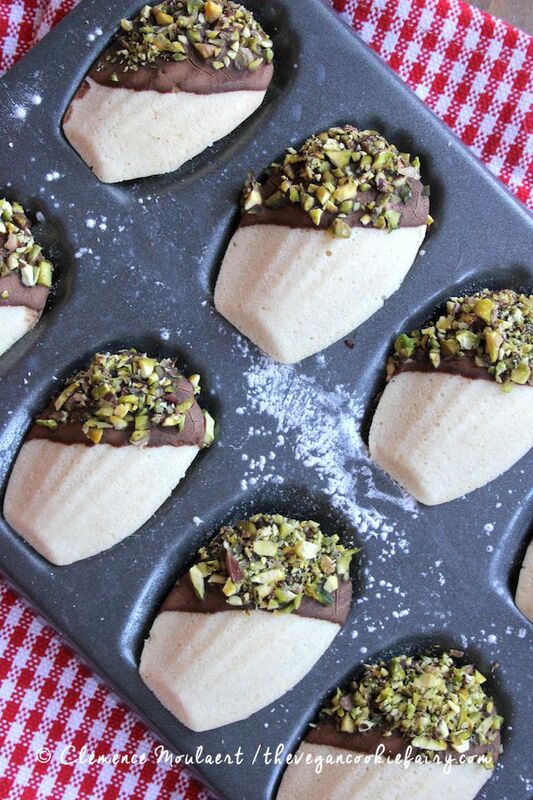 Gluten-Free Vanilla Madeleines with Chocolate & Pistachio Ganache. These are vegan too! O egg-free joys! 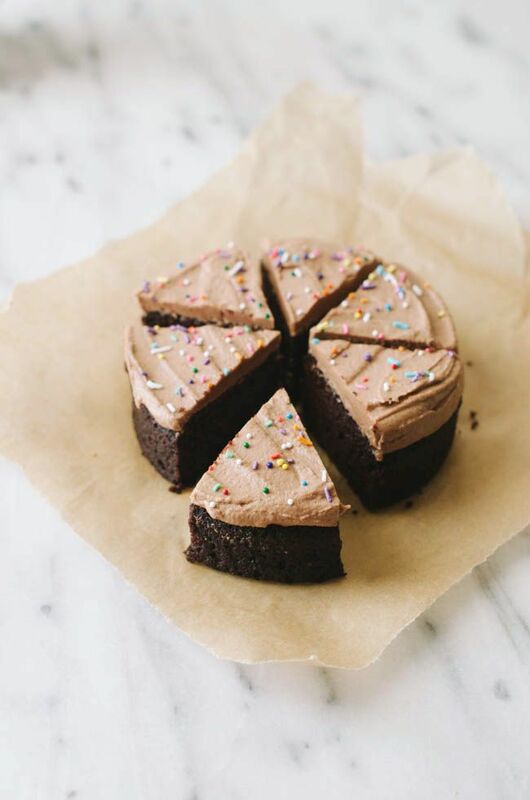 Teeny Tiny Chocolate Cake for One. Um, happy birthday! 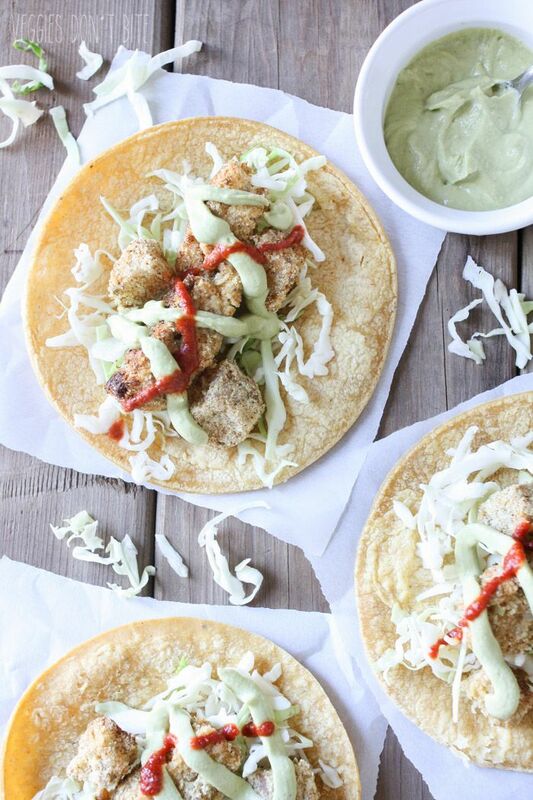 Crispy Cauliflower & Potato Tacos with Tangy Dill Crema. These tacos should not wait for Tuesdays! 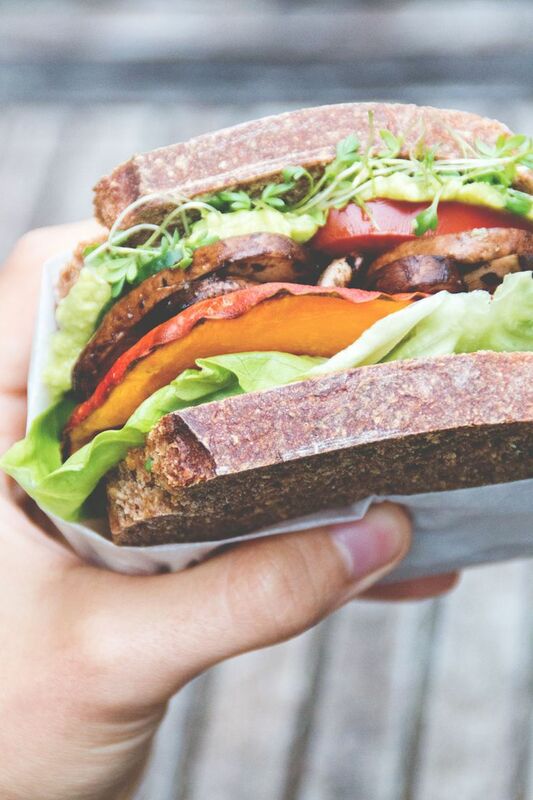 Vegan Club Sandwich with Coleslaw. Now to find some killer gluten-free bread! 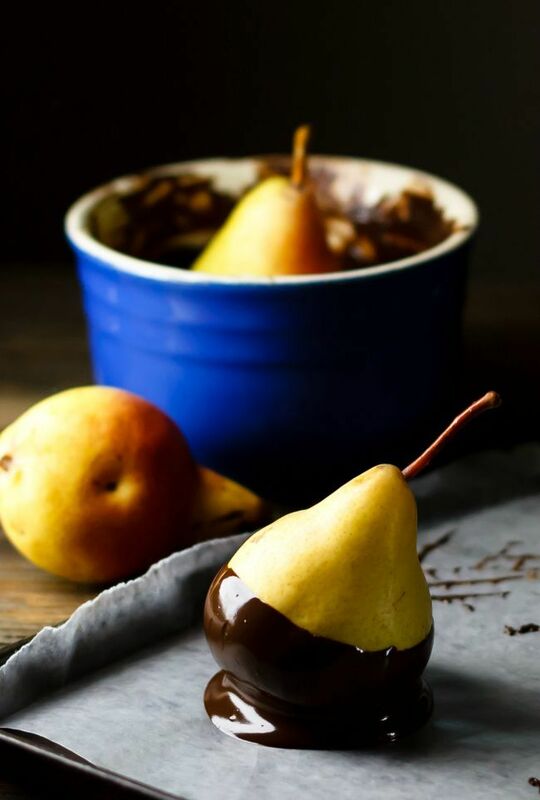 Dipped Dark Chocolate Pears. This is the kinda post-dinner sweet just made for me! 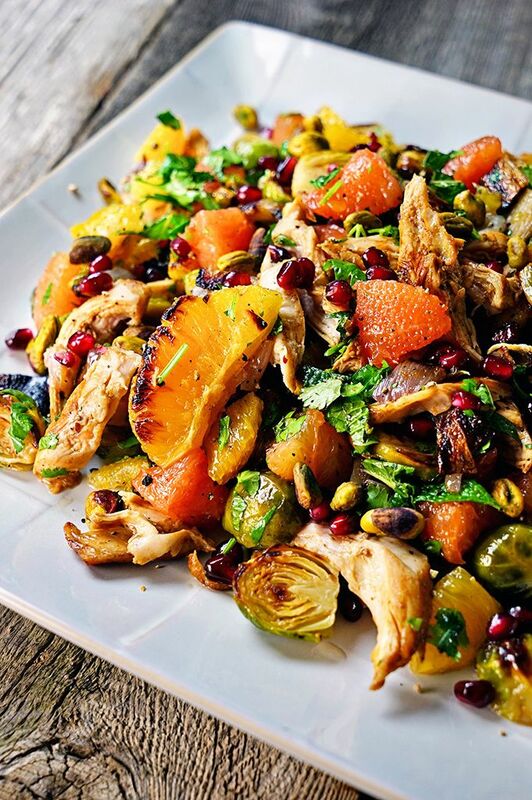 Cinnamon Star Anise Citrus with Roasted Brussels Sprouts and Rotisserie Chicken. Check out all those flavors in one dish! Autumn Morning Reishi Brew. A nice warm mug of this on a cold morning! 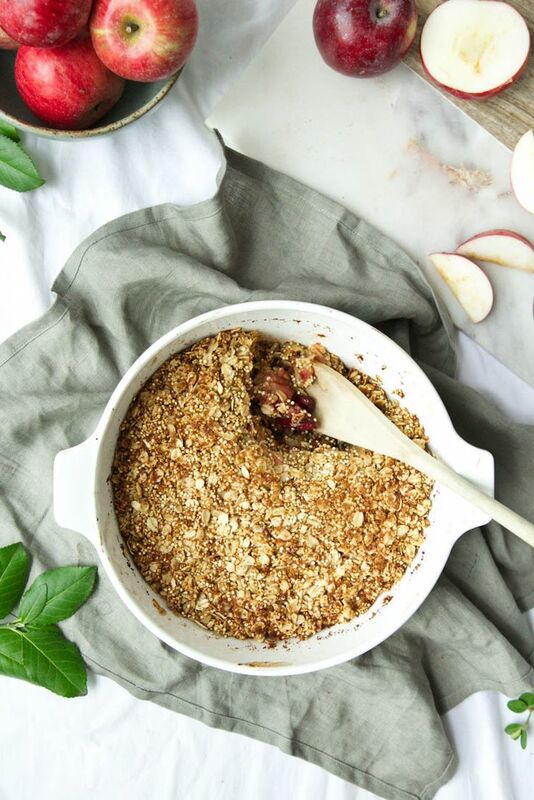 Apple & Cranberry Quinoa Crumble. This is the deepest dish crumble ever! Kale, Delicata, Dill Quinoa Salad with Spicy Almond Butter Dressing. That dressing, ya’ll! Chocolate Peanut Fudge Squares. So much PB goodness! + The expo this weekend! I’m excited! + I feel like I can call myself a baker for real now. You should see what I made yesterday! (Needed to bake after that math test). I am beyond excited to show you…soon! + Are you in the line of fire for this Hurricane? Experiencing it now? Omg…..when is national ketchup day!? I want to go to the real huge natural products expo (west or east)…now that….that I would cry of joy! Packed weekend! When good eating is involved that’s also a weekend for the books! They look amazing! I’m sure they’ve enticed everyone to make them! For serious, what’s up with all these hurricanes? :[ I moved to NJ right before Irene, and then…there’s this one, haha. Sigh! I’m so glad that print isn’t dead! <3 But that being said, thank you also for that site on free books! At least this one seemed to pass! Love this post and absolutely love all of the food. I feel like I had the same week except with mom stuff and running in place of school! I don’t see an end in sight to the busyness either and feel like nothing is getting done. I know! The icing on the cake 😉 Rain and busyness! Thanks so much for the feature lovely! Love all the informative and inspirational links Rebecca! #1 & #16 of 19 things that will annoy when gluten free is usually the case! 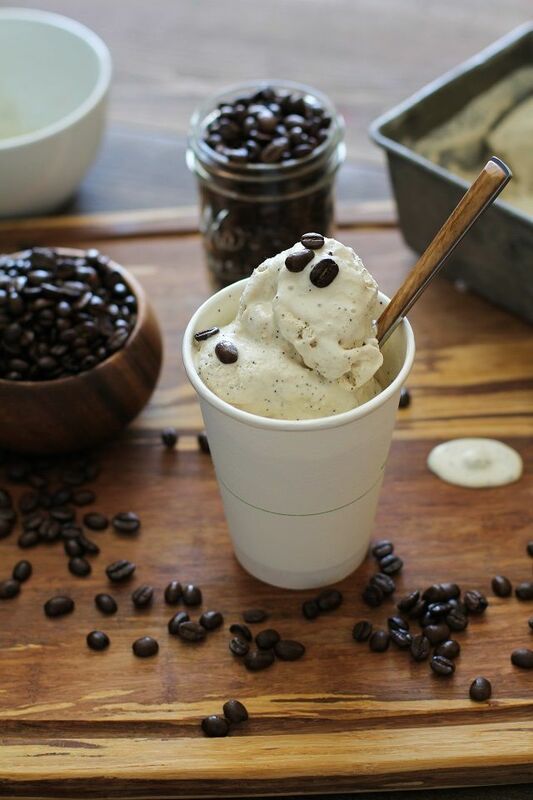 Not to mention all the mouth-watering recipes (hello coffee ice cream!) shared including your chocolate zucchini pancakes that looks amazing and is also healthy. Love recipes like that 🙂 Happy Friday! Thank so much Jessica! Glad you enjoyed the post! So many great links! I just read through three of them, and I emailed myself the post to check out more when I got home. Love this! Gluten free expo sounds AWESOME!! We will be getting a ton of rain, so my weekend is going to be hot yoga and comfy sweaters!! Can’t wait!! YOU BAKED!!!!! OMG this is big!!! I’m pumped! And I cannot wait to hear about the expo! Is it Saturday and Sunday or just tomorrow or what? Anyways, love the post about doing what you love and it can still feel like work. Sometimes it freaks me out when blogging starts to feel like work, but really I do think it’s a good thing. It’s important to take yourself seriously if you really want to get anywhere. I hate that saying “Make your hobby your job and you’ll come to hate you hobby”. So instead your supposed to make some random thing you don’t like at all your job? So silly! I can only go Saturday, but it’s both days! Yes! Exactly! You should take your passion and try to make it purposeful and share it with the world, which leads to work, but it challenges you and makes you feel…well…purposeful! I know! That recipe had me majorly craving tacos! 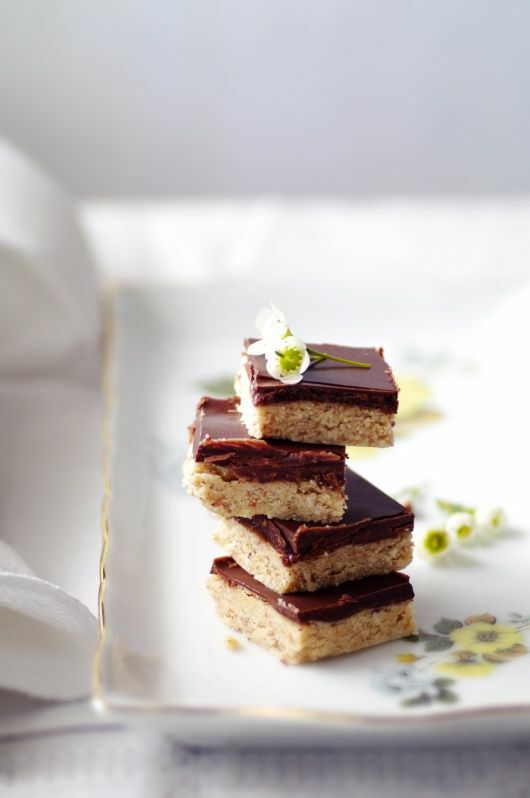 I want to bake again, but it’s way to dark today and….I have to take pictures of the recipe if I bake! Haha! Love the idea of linking in things on all these different topics. Great pictures too! The Friday Finisher is my iconic post! You’re definitely going to keep me busy this weekend with all of these great reads. And such gorgeous pins- that Delicata Squash Soup…OMG!!! Delicata is SOOO good and lovely and yea…soup-worthy! 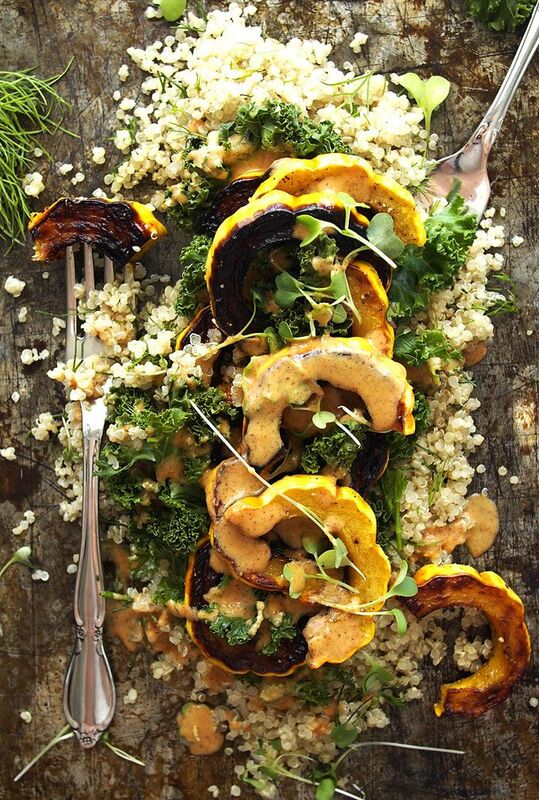 That kale, quinoa and delicata salad looks incredible! Oddly, I’m not in a place the storm will hit. It rains every day from June to November so I expect some storms sometime this weekend. Haha, yea, you guys can get some weird rain patterns! I’m patiently waiting for that hurricane that were getting. Not gonna lie, I’m kinda excited for it since we haven’t gotten one while i have been up at school for 2 years now and since we are one the coast, it would be great if we could get evacuated and go home lol! I have to agree, I’d probably prefer snow over massive amounts of rain especially considering that I will be running a marathon on Sunday in the midst of it! O my goodness!!!! Good luck sweet dear! I will be wishing you dryness….much dryness!